The Giulia Evo Disc evolves the Giulia-range to the next level of integration. Keeping all Sensa's known features such as Covercap Integration, Di2 Optimization, Air Flow Fork, Race Line Seatpost and Integrated Clamp, and improving overall riding performance. 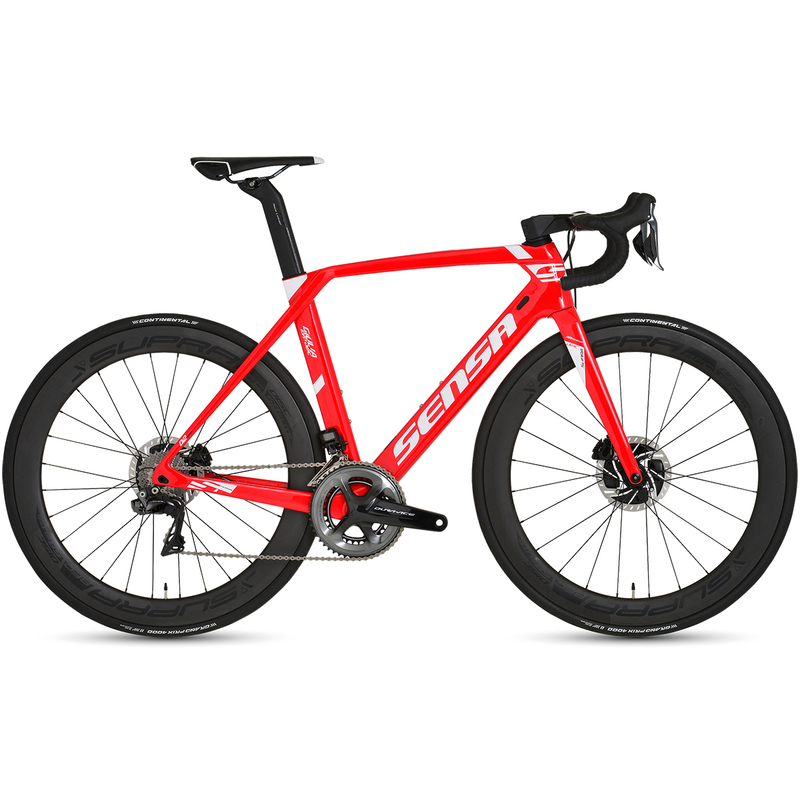 Making the frame tubes higher and more flat to give you an aero-advantage, Sensa also were able to improve the overall stiffness to further increase stability on the fastest descents out there, and to slow you down quick and safe we added disc-brakes too. With 410mm chainstays the handling is the same as the Giulia Evo. And with the possibility of fitting 30mm tyres, you can ride this bike pretty much anywhere.